Many people find health benefits when they change their diet to match a Paleolithic blend of protein, carbohydrates and fats. 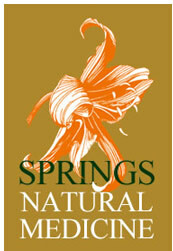 At Springs Natural Medicine, we work to identify the right plan for your body to optimize your health. We also work to address issues with people already on dietary plans such as identifying adverse food reactions, improving digestion by supplementing with herbs and enzymes, and discuss food combining. The Naturopathic Doctors at Springs Natural Medicine work to find the right fuel source for your body whether it be Paleo, Vegetarian, Vegan, Macrobiotic or just avoiding processed foods. www.paleoplan.com–lots of helpful info and subscription to meal planning guides and lots of posts for troubleshooting introducing paleo.